Birds, through centuries have inspired and challenged humans. 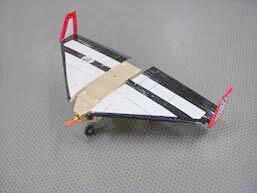 Since Leonardo Da Vinci many great-minds have attempted to mimic Mother Nature in order to create a flying machine, until Otto Lilienthal’s first glider flight and the Wright Brothers first powered flight in their Flyer. Since then aeroplanes have evolved in varieties - from small aircraft’s to large cargo carriers, from domestic passenger airliners to fighter jets. Each of these flying machines evolved with some practical purpose – if the Gee Bee R – 2 Racer was designed for pleasure seekers, the B-52 Stealth Bomber was designed for critical missions such as bombarding and data acquisitions. Whatever may be the design they all had one thing in common – they all needed a pilot to fly them. Information plays a vital role with respect to monitoring activities across the border; forest fires etc. Birds eye view of these territories would be the most effective form of information, but in such missions the pilot’s valuable life is put to risk. 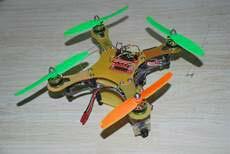 A remotely controlled aircraft, which can perform all the duties relentless of bad weather or hazardous conditions, may be the answer. 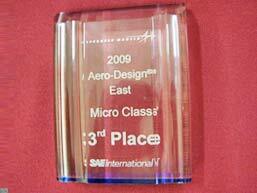 But in the realm of reality, to produce an aircraft which is controlled remotely is a challenge in itself. 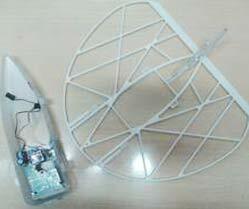 This challenge has created a new wave of technology called the Unmanned Air Vehicle. 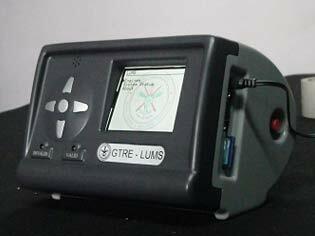 This technology has been effectively put to use by countries like Israel in Bekaa Valley, US in Iraq, Bosnia and Afghanistan and Russia in Chechnya. 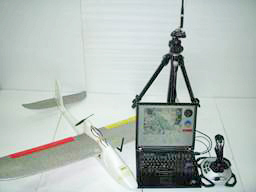 In view with the demand in aerial surveillance in war and as well as in peacetime, it has proven to be too costly to risk pilots and aircraft’s. 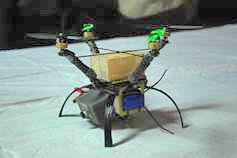 For this reason governments across the globe have begun investing in the new technology referred to as ‘The Unmanned Air Vehicle’. These vehicles would posses’ capabilities to access hazardous and inaccessible territories providing information in real time and also act as a strike force without risking valuable life and expensive machineries. Capabilities are not just limited to military applications alone but also to aid in peace time applications and disaster management by being able to provide valuable information from high-risk places such as volcanoes, earthquake hit areas and so on. 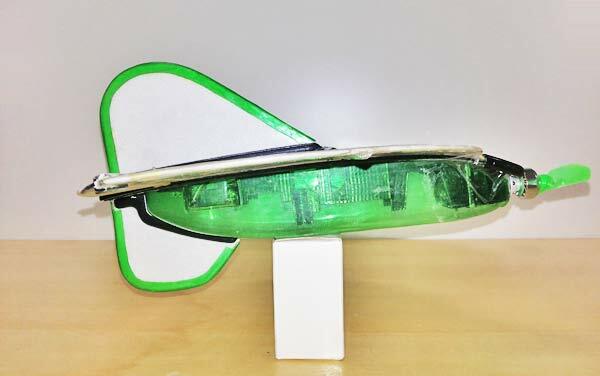 CET has been pioneering novel concepts in the unmanned air vehicle space and currently has been working on the National Programme on Micro Air Vehicles. 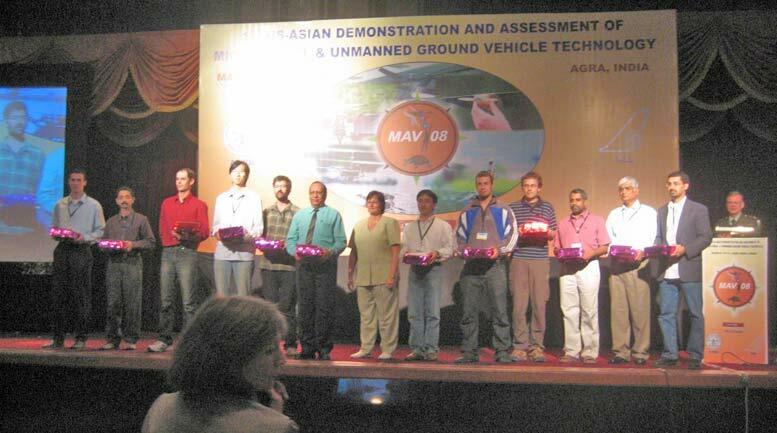 CET in conjunction with Drone & DC was chosen as one of the teams to represent India at the US-Asian Technology Demonstration for Micro Air Vehicles organized jointly by the US Department of Defense and the GOI during March 2008. Members of the group have also trained a number of the students of the school of engineering in different vistas of science and technology ranging from Materials to Avionics. 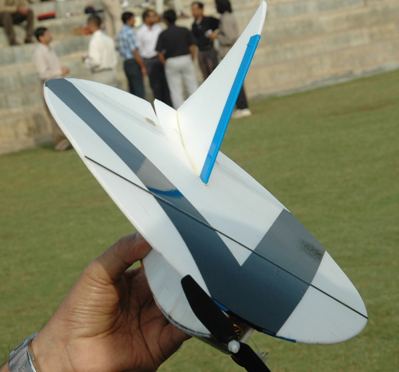 CET has been pioneering novel concepts in the unmanned air vehicle space and currently has been working on the National Programme on Micro Air Vehicles funded by DRDO and DST, GOI. 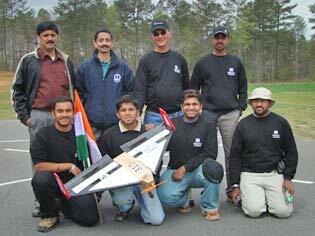 CET in conjunction with Drone & DC was chosen as one of the teams to represent India at the US-Asian Technology Demonstration for Micro Air Vehicles organized jointly by the US Department of Defense and the GOI during March 2008 and finished in the top five. 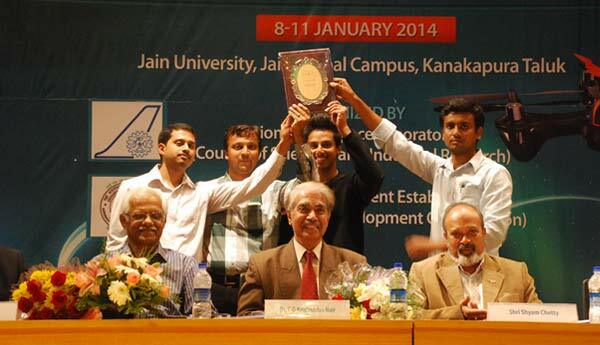 2014 witnessed CET in conjunction with Drone Aero, DC Enterprises, NDRF-IEI, winning the first and third place in NPMICAV 2014 organized by DRDO and CSIR that featured the top 12 teams in the country in mission mode. 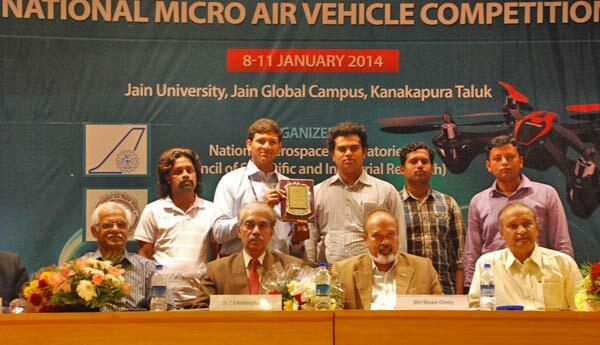 The first 3 D printed Micro Air vehicle in the country was developed at CET and test flown in 2012. 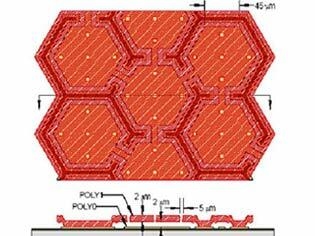 A low cost reusable/disposable MAV using an innovative combination of materials and processes has been designed and fabricated under the NPMICAV. Members of the group have also trained a number of the students of the school of engineering in different vistas of science and technology ranging from Materials to Avionics. 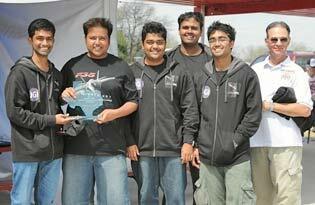 The students of the University created history in 2009 by becoming the first team from India to ever register a podium finish (3rd Place) under any category at the annual Aero Design (Micro Class) event held by SAE in the USA in association with NASA and Lockheed Martin. 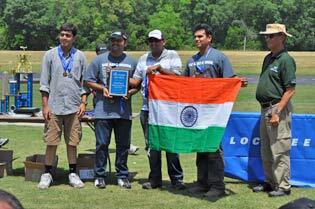 The team also went on to win the NASA Systems Engineering Honorable Mention award. 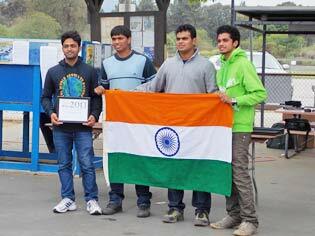 The contest features close to 65 teams worldwide competing against each other that comprises of a challenge of different aspects. 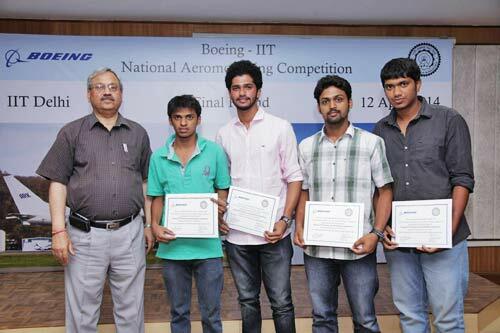 Since 2009 the University team has been winning consistently not only at SAE but also in India at every major aero event organized by various IIT’s, Universities and companies. The health of any system is important from a functioning perspective. 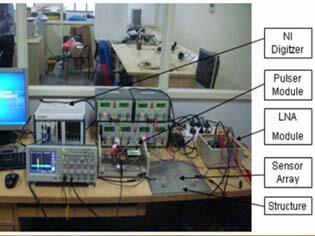 Diagnostics management is cumbersome and expensive. MEMS ultrasonic transducers are being effectively used in testing discontinuity in solids, especially the metal structures such as bridges, building frame works and piping which can fail because of fatigue crack propagation or because of section loss from corrosion. 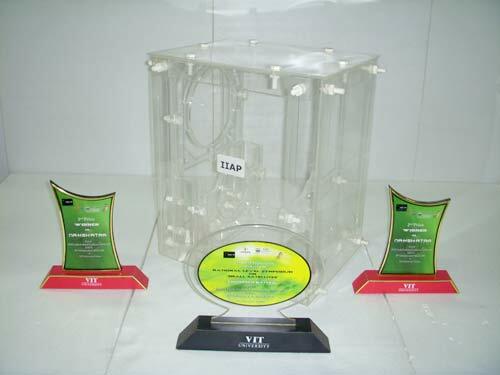 Arrays of MEMS capacitance diaphragms are used to transmit and receive ultrasonic energy (Piezoelectric transceivers) and identify the direction and magnitude of the signal, which indicates the nature of faults. 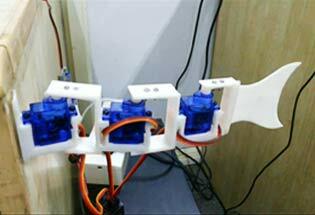 Furthermore, these transducers are mounted at crucial structural locations of interest. 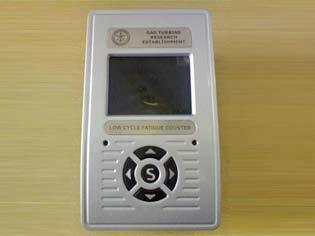 These transducers can be effectively bonded using silicon, which offers good acoustic coupling and does not damage the transducers. The projects involve the development of health monitoring systems based on MEMS devices for online monitoring in real time as well as the development of condition monitoring systems for engine diagnostics. Although we have entered the era of big projects such as the Hubble Space Telescope, which has provided a plethora of scientific results, important science can still be done with small satellites launched as secondary payloads with other missions. One of the least unexplored regions of space is the far ultraviolet where many important atomic and molecular emission and absorption lines lie. Although this gas may fill most of the Galaxy, we are still not sure of its origin or distribution. 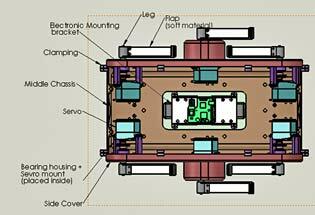 The current project thus envisages the design and development of a payload that can be used to study the spectrum by being launched through a microsatellite. 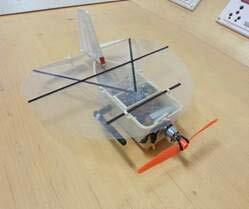 Two new projects have been undertaken to develop micro sized amphibian and robotic fish for underwater surveillance.